We present a new approach to learning directed information flow networks from multi-channel spike train data. A novel scoring function, the Snap Shot Score, is used to assess potential networks with respect to their quality of causal explanation for the data. 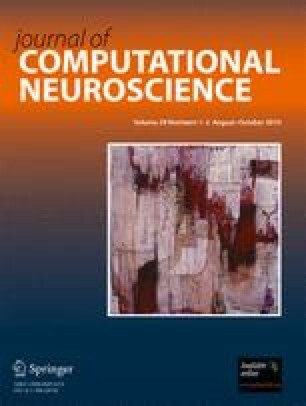 Additionally, we suggest a generic concept of plausibility in order to assess network learning techniques under partial observability conditions. Examples demonstrate the assessment of networks with the Snap Shot Score, and neural network simulations show its performance in complex situations with partial observability. We discuss the application of the new score to real data and indicate how it can be modified to suit other neural data types. We thank two anonymous reviewers for a thorough review and helpful comments. This work was supported by the CARMEN e-science project (www.carmen.org.uk) funded by the EPSRC (EP/E002331/1). van Rossum et al. (2009). Python language website. http://www.python.org/.